Why Your Sewing Tools Must Always Be In Good Shape! Home/Sewing Machines/Why Your Sewing Tools Must Always Be In Good Shape! Making beautiful clothing and other fun projects on sewing machines like the Juki HZL-F600 can be fun and easy once you start to perfect your craft; it can also be a big headache if your sewing tools are not in good shape. Avoid common problems when working with Juki sewing machines by always using the best tools. A little time invested in the care and maintenance of your tools will pay off in the degree of precision you get from them. Sharp fabric shears and rotary cutter blades are critical to the success of any project you make using sewing machines. Dull blades can damage and stretch fabric as you’re cutting it, leaving you with items that don’t come together or look the way they should. Have your expensive fabric shears professionally sharpened regularly and replace the blades on your rotary cutter once using them becomes a little less effortless. Clean fabric cuts are essential no matter what you’re sewing. Two important sewing tools that are easy to forget about even though you use them every time you sew are pins and sewing machine needles. Both need to be sharp so they pierce fabric easily without having to be forced through. A dull needle on your Juki HZL-F600 could cause uneven or skipped stitches or even pull a thread and ruin your fabric. Sewing machine needles should be replaced every 8 to 12 stitching hours or at the start of a big, new project to ensure you're always working with a sharp one. Avoid using dull, bent, and corroded pins by simply replacing them regularly or whenever you notice any problems. A detail that not everyone knows is that fabric measuring tapes stretch out after a while; using a stretched tape means your measurements will be off. Regularly check your tapes by aligning them with a metal tape to make sure they are still accurate. Naturally, you’ll need to replace any tape measures that have stretched so the projects you sew on Juki sewing machines come out with a perfect fit. Even though a good cutting mat can heal itself and clear plastic rulers may not get too beat up, they can both lose the rulings and guide marks you depend on to make accurate cuts; it may take a while, years even for this to happen. When your rulers and mats do show signs of wear, it’s time to invest in new ones to stay accurate. 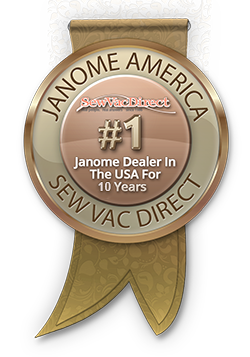 Above all, the most important tool for sewists to take care of is their sewing machines; they require regular cleaning and maintenance to keep them working properly. A professional servicing every few years by an approved shop is also recommended. When you take care of your machine, it will give you years of great service. Keep Those Sewing Tools In Good Shape! Take care of your sewing tools and they will take care of you and perform as expected. Whether you’re making home decor items, clothing, handbags, or anything else with Juki sewing machines like the Juki HZL-F600, precision is the true sign of a skilled sewist. Great sewists know to only work with tools that are in good shape and ready for the job!